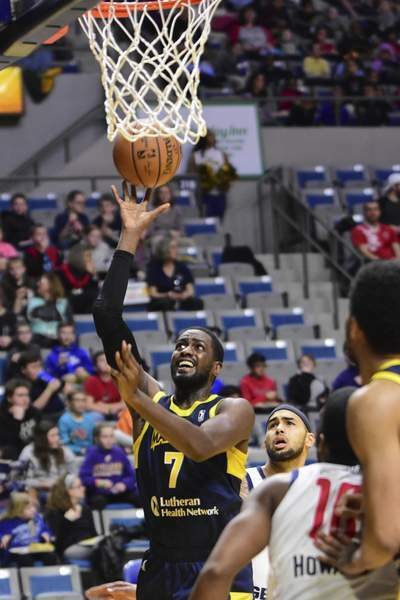 Mike Moore | The Journal Gazette Mad Ants forward Omari Johnson scores under the basket in the second quarter against Capital City on Thursday. 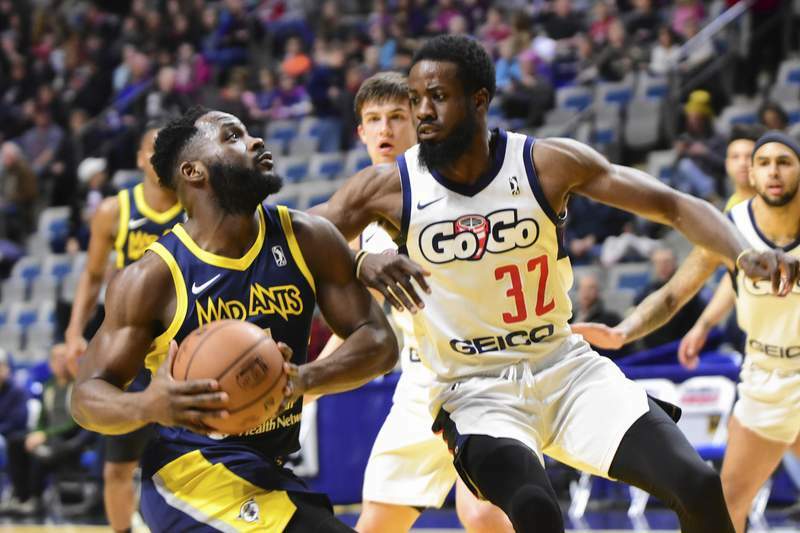 Mike Moore | The Journal Gazette Mad Ants guard Ike Nwamu drives to the basket guarded by Capital City forward Isaiah Armwood in the second quarter at Memorial Coliseum on Thursday. Mike Moore | The Journal Gazette Mad Ants defenders Davon Reed, right leaps into the air for a put-back as Alize Johnson, left scores under the basket in the second quarter against Capital City at Memorial Coliseum on Thursday. Mike Moore | The Journal Gazette Rob Gray shoots the ball at Memorial Coliseum on Thursday. Mike Moore | The Journal Gazette Mad Ants guard Stephan Hicks is fouled by Capital City guard Chris Chiozza while shooting under the basket in the second quarter at Memorial Coliseum on Thursday. 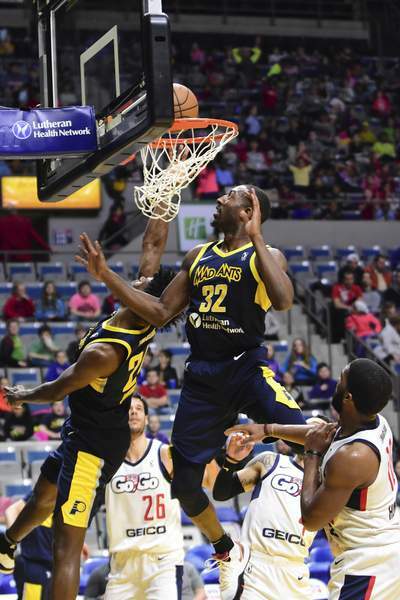 Mike Moore | The Journal Gazette Mad Ants guard Davon Reed dunks the ball in the second quarter against Capital City at Memorial Coliseum on Thursday. Mike Moore | The Journal Gazette Mad Ants forward Omari Johnson takes a shot at the basket in the third quarter against Capital City at Memorial Coliseum on Thursday. 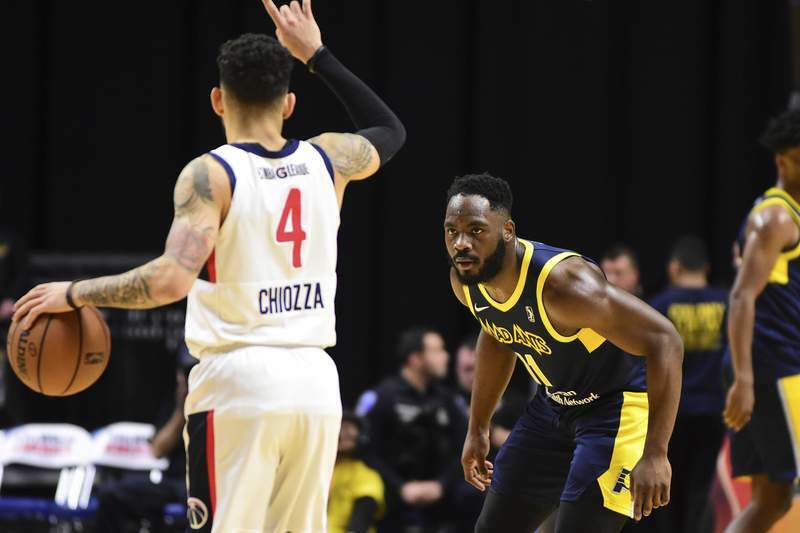 Mike Moore | The Journal Gazette Mad Ants guard Ike Nwamu guards Capital City guard Chris Chiozza as he sets up a play in the second quarter at Memorial Coliseum on Thursday. Mike Moore | The Journal Gazette Mad Ants guard Je'Lon Hornbeak takes a shot at the basket in the third quarter against Capital City at Memorial Coliseum on Thursday. 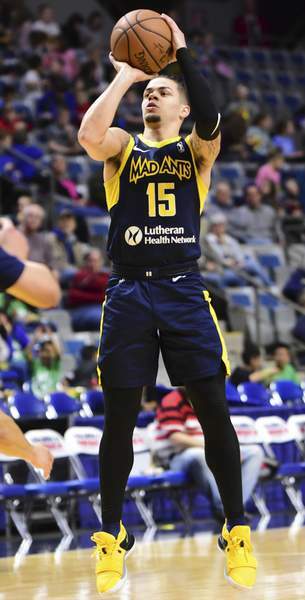 Rob Gray didn't have much time to get ready, mentally, for his first start in a Mad Ants uniform. The unexpected release of Tra-Deon Hollins, who had shined in that role, had come less than a day earlier. But Gray looked comfortable as the point guard Thursday, and it's a role coach Steve Gansey said he's slated to hold on to moving forward. “He's been working. He's been our hardest worker on the team. 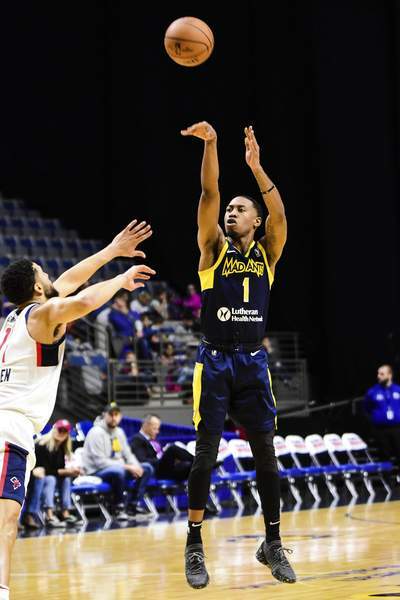 He's really grown since Day 1 of training camp, and we definitely need him to help us win these games,” Gansey said after a 121-118 overtime victory over the Capital City Go-Go at Memorial Coliseum. 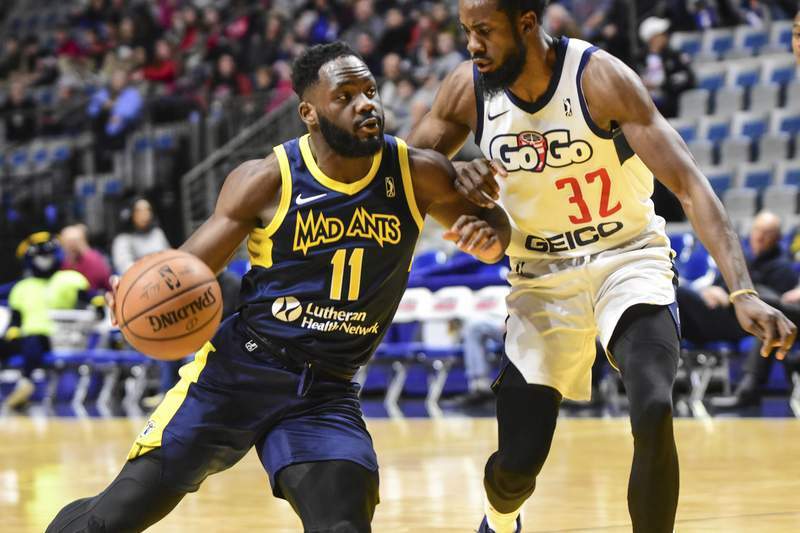 While the Mad Ants declined requests for insight into the parting with Hollins, who was second in the G League in assists (8.4) and steals (2.6), and averaged 7.2 points over 30 games this season, multiple sources said it was for violation of a drug test. As a minimal offense, Hollins should be able to resume his career soon, perhaps even in the G League, the sources said. His pass-first style of play is different than that of Gray, a shoot-heavy rookie who totaled 30 points on 9-of-19 shooting with six assists and six rebounds in front of 4,761 fans for an 11 a.m. start on Education Day. About 32 schools came from as far away as Marion. 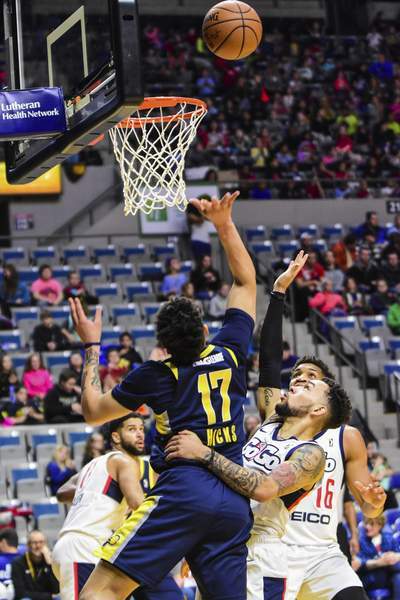 Alize Johnson had his whopping 18th double-double in 22 games with the Central Division-leading Mad Ants (18-15) – totaling 23 points and 19 rebounds – as they wrapped up their fourth victory in five games. 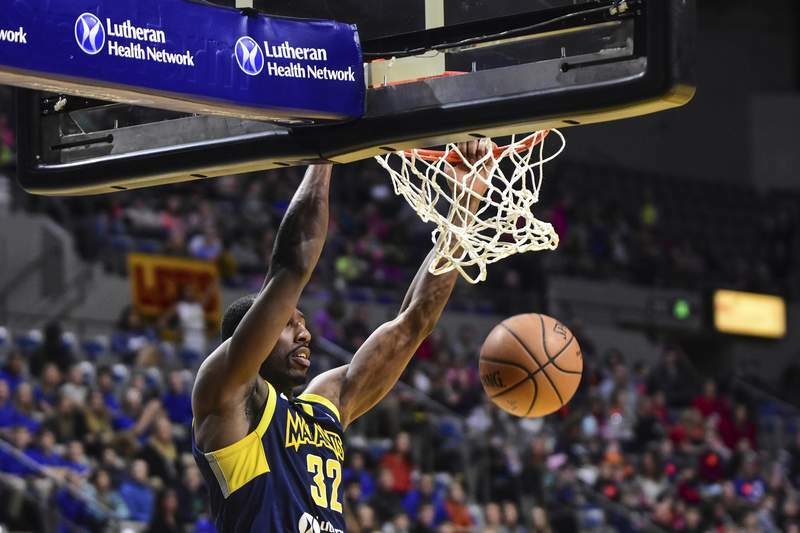 Later in the day, the parent Indiana Pacers announced they released second-year center Ike Anigbogu, who had spent 21 games this season with Fort Wayne, averaging 11.1 points, 9.5 rebounds and 1.9 shot blocks. Gray hit a shot from the elbow to give Fort Wayne a 114-112 lead with 10.5 seconds left in the fourth quarter. 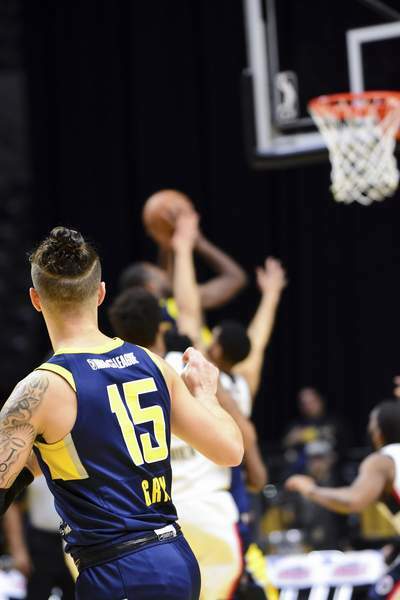 But Capital City's Duje Dukan, a former Mad Ants player, tied it with a turnaround shot from the paint that trickled in with 2 seconds left. 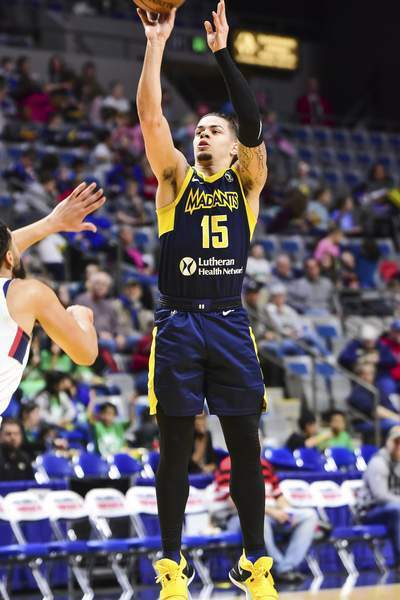 Omari Johnson's 3-pointer from the corner got things going for Fort Wayne in overtime, but it didn't last – Darel Poirier's put-back dunk made it 118-117 Go-Go with 42 seconds remaining. 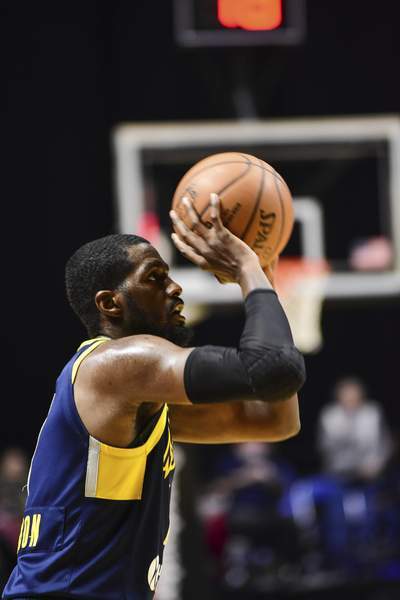 Davon Reed, just back from the Pacers, answered with a dunk for Fort Wayne that had been set up by Stephan Hicks' offensive rebound, making it 119-118 with 18 seconds left in overtime. Capital City's Chris Chiozza drove one-on-one against Alize Johnson with 4 seconds remaining to try and win it, but his shot slipped off the rim, sending the crowd into a tizzy. The Go-Go (18-15) was paced by Kellen Dunham, a former Butler player, who had 24 points.